Sweet, spicy and savory. This is how I would describe this dish. It’s plainly simple to do and yet you can get one delicious meal out of it. I made this last Monday as our pack lunch for work. However, I did tossed the fish in the sweet spicy sauce and garnished it with toasted sesame seeds. I paired it with rice and had one Chinese style meal for lunch. I suggest using cornstarch instead of flour as cornstarch stays crispier compared with flour. You can use any kind of fish fillet you can find, but in my case, I used cream dory fillet found in the frozen section of the grocery. it’s really cheap, about Php100.00 for a pack of three cream dory fish fillet. I just thawed it for more than an hour and seasoned it with some salt, pepper and Spanish paprika. Dipped it in a bowl of egg and covered it with flour or cornstarch for 30 minutes. The first time I did this was using cornstarch and covered the cream dory fillet overnight for the crust to develop. I found out that after dipping the fillet in the flour or cornstarch, you have to rest the fillet for at least 20 to 30 minutes so the flour would form a crust. This results in a crispier fillet. Season the cream dory fish fillet with salt, pepper and Spanish paprika. Let it stand for 20 minutes. 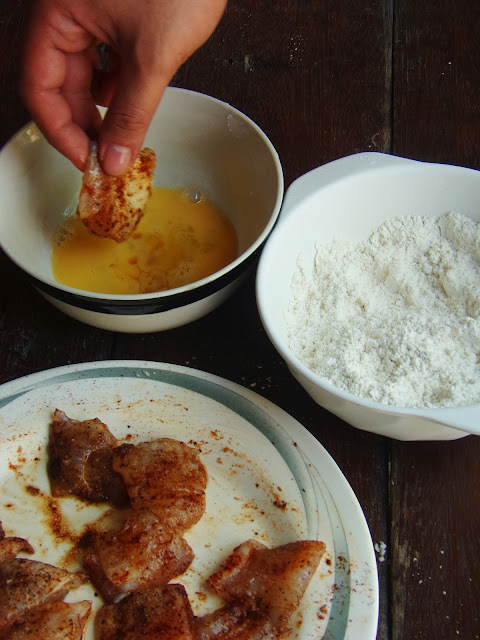 Dip the marinated cream dory fish fillet into the beaten egg and next to the cornstarch or flour. Tap excess flour. When everything is already coated with flour, let it rest for 30 minutes inside the fridge or you could leave it overnight. 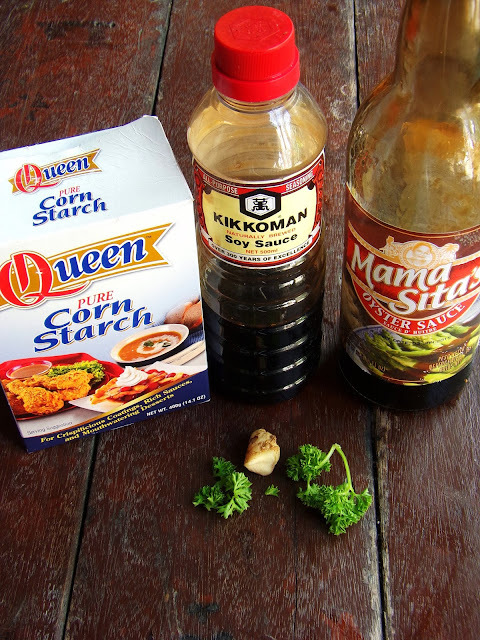 While waiting for the cream dory fillet, in a cooking bowl or sauce pan combine water, oyster sauce, soy sauce, sugar, ginger and parsley. Boil and simmer for 5 minutes. Dissolve cornstarch in a quarter of a cup water and add a tablespoon at a time to the soy sauce mixture. Simmer for 5 to 10 minutes or you are satisfied with its consistency. Season with salt and pepper to taste. I my case, I used a bout 2 pinches of salt and a pinch of pepper and added a couple of pinch of chili flakes for extra kick. Deep fry the fish fillet until golden brown. You can tossed it with the sauce and garnish it with onion spring and toasted sesame seeds. 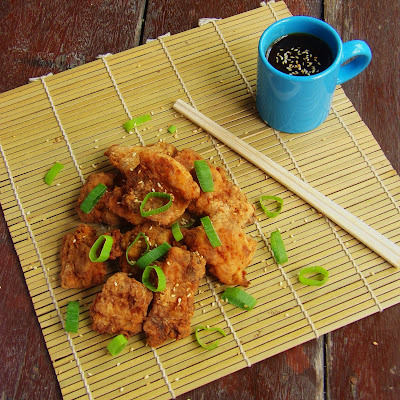 However, what I did today was tossed the crispy fillet with the onion spring and toasted sesame seeds and served the sauce on the side and served it finger food style. Hi! Nice to hear that. Thanks! Hi Kimberly! Share us your experience. Great to hear that! Don't be hesitant to cook. It's a lot healthier when you cook your food than buying them in a fast food restaurant. I don't usually cook but I was successful thanks to you!